As recipes for success in prize-fighting go, two years out of the game, bloated on money and notoriety, is not a great one, and Conor McGregor’s biggest obstacle on Saturday will be leaving his millionaire comfort zone to do battle once more. Across the cage from him will be Khabib Nurmagomedov, the Russian wrestler widely believed to be the worst possible match-up for the 30-year-old Irishman. But McGregor at his peak is a generational talent who should be capable of finding a way to win. The only person in the UFC who can defeat him is himself, by either failing to prepare, or failing to deliver. It has happened before. A short-notice fight in a heavier weight division against Nate Diaz saw him gorge himself on food and fame, only to burn out and fade away midway through the second round en route to his first loss in the UFC as he sought another highlight-reel knockout. 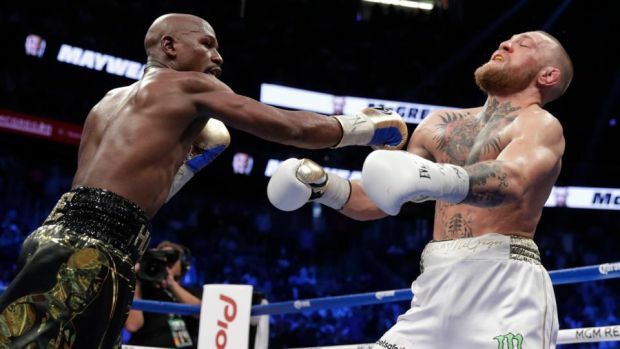 And it was ultimately McGregor’s conditioning, rather than his limited boxing skills, that was targeted in last year’s circus show at the T-Mobile Arena, with Floyd Mayweather waiting for him to punch himself out before unleashing the blows that would ultimately end the fight. As a sporting encounter that bout was meaningless, but its effect on McGregor was seismic; financially set up for life, he would have to find new ways to get his kicks. In getting there he had broken all the rules; first getting the Ultimate Fighting Championship to allow him to box, and then going in as one of the co-promoters of the multi-million dollar bout to take an even bigger piece of the action. He may have lost, but that fight made him the ultimate alpha male in the fight game. After years of seeing his dollar value rise with every profane pronouncement and bad-boy display, he has taken over the show entirely. There is no longer anyone in sport, or anywhere else, who is prepared to say “no” to him. After his rampage in Brooklyn in April, in which he threw a trolley through a bus window, was met with no sanction at all from the UFC, he knows he can do whatever he wants as he chases his goal of becoming a billionaire. The hundred million he said he made for his boxing match with Mayweather has made it difficult to go back to MMA, where the risks are far greater and the rewards more modest. The lightweight division he once lorded over has become a shark-tank of dangerous opponents, with Nurmagomedov the current kingpin. The Russian’s smothering style is simple, but staggeringly effective – he takes his opponents down and brutalizes them with blows from his fists and elbows. It doesn’t matter that his striking while standing is rudimentary at best; he has had 26 professional fights and won them all. But he has never met someone like McGregor. The Irishman’s last outing in the octagon in November 2016 was a showcase of why he is one of the most talented fighters ever to enter the cage. The days preceding that lightweight title fight against Eddie Alvarez were similar to those the sport of mixed martial arts is living through now – much was made of the toughness and the wrestling of the “Underground King” and how McGregor would struggle to handle it. But Alvarez, like so many before him, quickly wilted before McGregor’s power and precision. McGregor seemed to sniff the air like a hunter before banging his fist off Alvarez’s jaw, sending him to the canvas repeatedly. The American somehow made it out of the first round but he soon meekly surrendered the title. The summit of mixed martial arts is a place most visit only fleetingly, as challengers swarm from beneath to knock the champions from their perch. 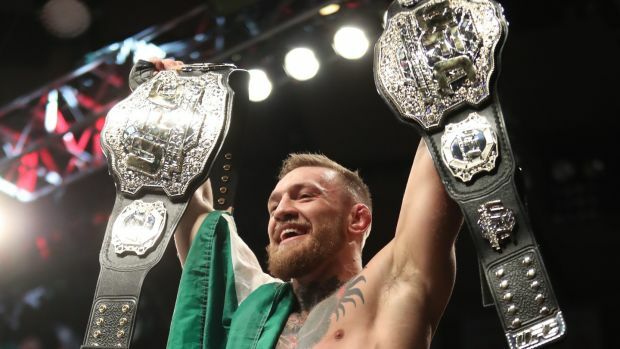 The 25-year history of the UFC is littered with title-winners who lasted mere months, losing their first defence, or who, like McGregor, were stripped of their belts without ever having a chance to defend them. In truth, belts mean little or nothing in the UFC – all that matters is fights that fans will pay handsomely to see. McGregor speaks now of the welterweight title, a third belt in a punishing division, but also of so-called “money fights” against iconic names like Georges St Pierre and Anderson Silva. He would be wise to focus on the task at hand first. Having used the media to propel him to stardom, he now wants as little as possible to do with journalists. His camp is closed and coaches and sparring partners who were previously more than willing to talk are silent. In the vacuum caused by a lack of solid information, the rumours emanating for his camp vary wildly. He is either in the shape of his life, or once again set to run out of steam after five minutes. The real question is whether winning or losing will make any difference at all. What is most important to fans and the UFC is that he is back, and even in defeat, his next fight – be it against Nate Diaz or Tyrone Woodley or even Mayweather in a boxing ring again – will set the tills ringing regardless. Put simply, whatever he decides to do, McGregor now calls all the shots in the fight game. He has the UFC, the fight fans and the media all ready to do their bit to promote him and buy whatever he is trying to sell, be it whiskey, suits or his own burnished legend. But none of that will help him when the moment of truth comes and the cage door closes on Saturday night, with Nurmagomedov trying to take him down and pulverise him from the opening bell. Once that gate closes, all the money and power in the world cannot help him. To emerge victorious, McGregor will once again have to rely on the violent hunger that burned in him when he was starting out with nothing. Next article“Love Island”-Skandal: Das ist die wahre Freundin von Victor!